There are two John Haviland's that are loyalists in the early Upper Canada record. However most research and genealogies recognize only one - Capt John Haviland UE who settled in Townsend Tp, Norfolk Co. in the Niagara area and was granted 2600 acres. There are some records relating to him at the bottom of this web page. The goal here is to collect all the evidence confirming that there was a second John Haviland UE. He settled first in Adolphustown Tp. from before 1797 till about 1810 and then lived in Hallowell Tp. till his death between 1822 and 1827. He received a grant of land in Cramahe Tp. and bought a lot in Haldimand Tp. but did not settle on either lot. His three daughters [no sons] are identified below. Some genealogies have these children incorrectly linked as the children of Capt John Haviland of Norfolk County. Perhaps the fact that John had no sons has fooled genealogists to make this mistake. Lastly, and this is why I got interested in this man, I believe I have made a reasonable case to conclude that John Haviland of Hallowell is the brother of Jane Haviland (1766 - 1851) who was also born in Long Island. 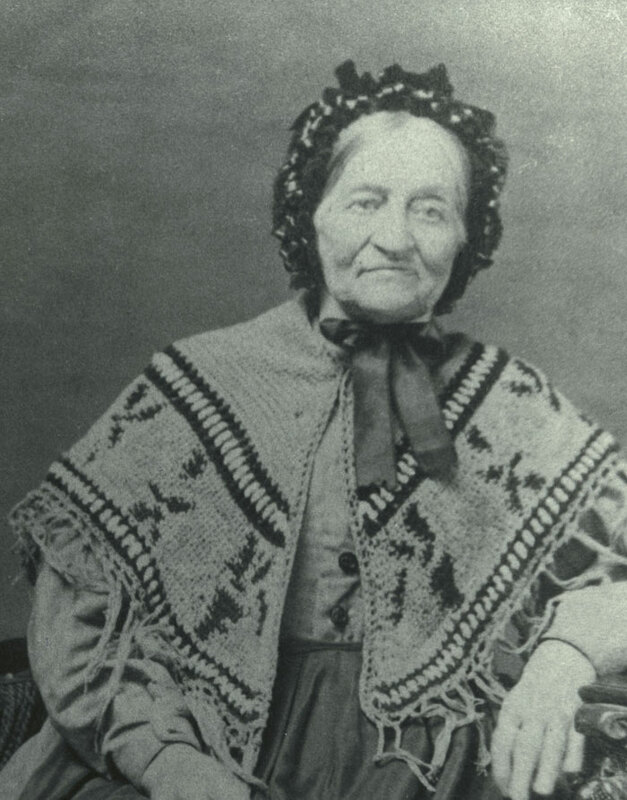 She married Robert Hubbs and they emigrated from Long Island and settled in the 1790's in Prince Edward County. I want to thank Linda Smith, Art Hubbs, Philip Heavirland and Pat Bjorklund for their interest and assistance. There are many spellings of Haviland - Haveland, Heaveland, etc and I have chosen to use Haviland in general though transcribe each case as written. Three personal signatures by John are shown below. The well known work by William D. Reid titled The Loyalists in Ontario, Hunterdon Press, 1973 (p. 143) shows both of the above Haviland Loyalists and their children as being all one single family - that of Capt John Haviland. The research below proves beyond doubt that Reid is wrong in his conclusion but does not take away from the good work that he did in amassing loyalist information. Unfortunately this error has been copied by others. This John Haviland "of Hallowell" is not to be found in the Canadian Haviland Family Genealogy by Eleanor Chapin, Hurley Printing, Brantford Ontario, 1991 as this book is about Capt John Haviland who settled in Norfolk. Also he is not in the classic The Haviland Genealogy, by Josephine Frost, Lyons Genealogical Co., 1914, reprint Higginson Books. Use the links below to jump up and down this long web page. 1. Overview of JOHN HAVILAND "of Adolphustown" & "of Hallowell"
John Haviland states in his 1808 petition that he was from Long Island and joined the Incorporated Loyalists around 1777 till the end of the Revoutionary War as an "artificer" building block houses and barracks. He arrived in Upper Canada before 1797 and was granted lot 18, Concession 6 in Cramahe Township north of present day Colbourne. He chose not to move there and he sold this lot to Robert Hubbs in 1822. He is listed in the Adolphustown Township census data as residing there from 1800 to 1810. His petition in 1808 says he is "of Adolphustown." No land record has been found in Adolphustown under his name. Sometime after 1810 he moved to Hallowell, however no land record in Hallowell confirms land being granted or owned by John Haviland. It is clear he did live there, as stated in a number of other records, so he likely leased land or privately worked land or maybe he worked at a trade. He had a daughter Phebe and then later two more daughters, Jane and Nancy, probably with a second wife. It appears he had no surviving sons. Neither wife has been identified. His older daughter Phebe petitions in 1812 as a daughter of a loyalist (DUE) and says her father, John Haviland, is "of Hallowell". John signs a petition in 1818 in support of Robert Gourlay as an "inhabitant of Hallowell". A careful examination of the numbers of Men and Women in the Adolphustown census data suggest his first wife may have died about 1803 and that he had young daughters starting around 1807 probably from a second marriage. His daughter Phebe petitions in 1812 as a widow so she would likely have been away from his home by 1800 or so and be a daughter of the first wife. His other two daughters, Nancy and Jane do not petition for land as DUE's until 1834 suggesting a much later birth date and are likely daughters of the second wife. Many genealogies have attributed these daughters to the other John Haviland (of Norfolk Co.) and overlooked that there are two separate men of the same name. Robert Hubbs married Jane Haviland who I conclude is a sister to John Haviland. Both Jane and John are of a similar age and were born on Long Island and both came to Upper Canada in the 1790's. John settled in Adolphustown not far from Robert and Jane Hubbs who settled on the shores of Picton Bay. In 1822 John Haviland sells his Cramahe land to Robert Hubbs. The witnesses are Benjamin and Heaveland Hubbs, sons of Robert Hubbs and Charles Saylor who married Jemima Hubbs a daughter of Robert Hubbs. However it is the 1827 will of Robert Hubbs that strongly suggests a family connection. In his will, Robert Hubbs orders that the Cramahe land be sold and the net "balance be shared equally between Jane Benham and Nancy Haviland both daughters of the late John Haviland deceased. I conclude that John Haviland is the brother of Robert's wife Jane and Robert helped out his brother-in-law in 1822 by buying the land on a promise to give the balance to the young daughters of John Haviland. To further demonstrate what an important family favour this was; the sale of the Cramahe property is mentioned in the Hubbs account in Pioneer Life on the Bay of Quinte written in 1904. This account mentions that Jane Haviland had a brother "Benjamin" and then says in the next sentence that "John Haviland" sold the Cramahe land to Robert. It is my belief that this is a typo of sorts and that she had a brother John - not Benjamin. John Haviland died between the 1822 sale of the Cramahe lot and 1827 when John is said to be "deceased" in Robert Hubbs's will. This signature does not match well with the above. Sometimes it appears in petitions with a long list of names that the same man has signed for more than one person. This may have happened here. John Haviland states in his two petitions (1798 and 1808) that he served from 1777 till the end of the war in the Engineering Department with the Incorporated Loyalists as an "artificer" building block houses and barracks. He was a tradesman. In 1797 he was denied UE Loyalist status but in his 1808 petition he was added to the UE list. John Haviland's 1808 petition states that he is from Long Island. "The Engineers' Department was one of the Civil Branches of the Army. An officer of the Engineers would command them. They were organized by trades, such as laborer, sawyer, carpenter, etc. under the direction of foreman, who were the equivalent of non commissioned officers. They generally were much better paid than soldiers, depending on their trade. We have a number of documents on them on our website - Loyalist Institute: Military/Civil Branches. It was a fairly large organization, detachments of which served with every garrison and expedition of the army. Primarily composed of Loyalists, black and white." Source: Forwarded by Peter Johnson and written by Todd Braisted, an Honorary VP in the UEL Assoc who lives in NJ and is the descendant of a New Jersey Volunteer who never left the US. See Todd's web site, Institute for Advanced Loyalist Studies. An attempt will be made to find him listed on military rolls. In 1797 John Heaviland is granted 200 acres in Cramahe Township as a settler. He is shown on this list of settlers for Cramahe (see the middle of the Sep 1797 list). Later in 1798, John Haviland petitions to have a lot that he purchased in Haldimand Township [lot 4, Con 1] recognized with a deed. In the process he states that he has already received a grant in Cramahe. An earlier petition has not been found. In fact, in the 1808 petition it is clear that he is not yet on the UE list and he was granted the Cramahe land as a settler. In 1799 he petitions again. The authorities bundle the 1798 and 1799 petitions together [#72]. In this petition below he states that he "served as an artificer during the American War" but gives no regiment details and no depositions as proof. He asks for a grant of land but is denied as "He has no claim to land as an artificer." It is odd that he would not have made the effort to verify that he qualified as a Loyalist. He petitions again in 1808 giving his regimental details and is recognized as a Loyalist. The 1798, 1799 and 1808 petitions connect the Haldimand purchase, the Cramahe grant and the war record as an artificer with the Incorporated Loyalists as all realting to the same man - John Haviland of Adolphustown. A number of genealogies incorrectly have the Haldimand purchase and the 1798 petition as being that of Capt John Haviland of Norfolk County. Personally appeared before me Stephen Carman, one of the Justices of the Peace for Queens County – Thomas Dorland and being duly sworn saith that he had bean well acquainted with John Haveland for a long time and he considered him to be a good friend to the cause of Great Brittan – and that the said John Haveland was in the Kings Service during the Late war between the King of Great Britan and the United States of America and that he acted as an artificer in erecting Block-Houses and Barracks etc and futher this Deponent saith Not. That your petitioner has received 200 acres of land in Cramahe. That your petitioner served as an artificer during the American War, as the certificate herein inclosed will vouch. Wherefore your petitioner prays for such additional quantity of land under the new regulations … as in duty bound will ever pray. Your petitioner having purchased from John Stratten Lot No 4 in the 1st Concession of Haldimand, prays your Honor that the deed therein may issue in his own name, and that the lot No 3, 1st Concession of Haldimand may be assigned to him as above under the New Regulations. Read same day - Recommend that the deed for No 4 first concn of Haldimand for which John Stratten is entered issue to Petr – He has no claim to land as an artificer. 31 Dec 1798, the Crown patents to John Haveland, lot 18, Con 6, Cramahe, 200 acres. Note: The Belden Atlas of 1878 shows a substantial pond on the lot. 5. RECORDS STATING "OF ADOLPHUSTOWN"
The 1834 petitions of daughters Nancy and Jane refer to John Haviland of Adolphustown. Of course he was long dead by then but they likely stated it this way since their father resided in Adolphustown in 1808 when he was added to the UE list. The census data below shows he lived there, however no land record show him owning a farm. It is possible that he was a tradesman [artificer] and not a farmer. Note also that till 1802 he is living with a women and then he is single in 1803 suggesting his first wife has died. In 1807 there are two females- probably a new wife and his widowed daughter Phebe. Then in 1808 a daughter is born and by 1810 a second daughter is added to the family. Source: Appendix To The Report Of The Ontario Bureau Of Industries 1897, Warwick Bro's & Rutter, Toronto, 1899, Royal Ontario Museum Library, FC3061 .A553 1899, People of Adolphustown, pp 27-49. Note. There is no other man with a similar surname so these records are of the same man. In this petition John Haviland gives more details about his Loyalist background supported by depositions and the Council places his name on the UE list. It does not appear that any further land was granted to John. However it was important to get his name on the list so that his daughters could apply for land as DUE's. Phebe petitioned in 1812 and the younger daughters petitioned in 1834. The petition of John Heaveland Humbly Sheweth that your petitioner was in the Engineers Department in the Incorporated Loyalists on Long island in the year one Thousand Seven Hundred and Seventy Seven until Seventy Nine & till the close of the War and that Your Petitioner has been in the Province before and since the year one thousand seven hundred and ninety eight  therefore your petitioner prays that his name may be inserted on the UE list. Achilles Dorey maketh oath and saith that he knew the above named John Heaveland in Long Island in the year 1778 – in the Engineers Department and that he has been in the Province before and since the year 1798. Read in Council 30 Jany 1809 Recomd that the name of John Heaviland the petitioner be inserted on the UE List Thos Swll? 7. RECORDS STATING "OF HALLOWELL"
A number of records state John Haviland "of Hallowell". One example is the 1812 petition of his daughter Phebe. However no land record has been found showing him owning land. Once again, I suspect he was a tradesman and not a full time farmer. He signs an 1818 petition along with other men "of Hallowell" in support of Robert Gourlay. See this web page about this petition and see his name at the bottom of the list of men from Hallowell in section 4. This is the only direct evidence that he was living there. The records below form the basis of my conclusion that John Haviland of Hallowell was the brother of Jane Haviland, wife of Robert Hubbs. In 1822 John Haviland sells his Cramahe Tp. lot to Robert Hubbs and it is witnessed by two sons and a son-in-law of Robert Hubbs. Then in Robert's 1827 will he orders the lot to be sold and the net balance of the sale to given to the two younger daughters of John Haviland. The land is sold in 1829. This suggests that John Haviland was in financial difficulties in 1822 and Robert helped him out by buying the Cramahe lot and promising to gift the proceeds of the sale to his two daughters. This is an act of kindness and strongly suggests a family connection. Further, the sale of the lot was recorded in the Hubbs account in PLBQ - again suggesting the kindness was remembered by the later family. I have concluded that John and Jane Haviland are siblings. "Codicil - I further order that a certain lot of land in Cramahe, Northumberland, known by the eighteenth lot in the sixth concession shall be sold by the executors and after deducting the charges on my books against that property that the balance be shared equally between Jane Bunham (Benham?) and Nancy Haviland both daughters of the late John Haviland deceased and if either of the above named legatees should decease before my executors could effect such sale the remainder should become the property of the survivor. Dated 21st day, 2nd month 1827. Witnessed by Samuel Baker, John Jones, and John Baker and the codicil is witnessed by Duncan B Graham Sarah Clandening and Samuel Baker and registered by Benjamin Hubbs this thirteenth day of October 1827. Dated 21st day, 2nd month 1827. " 12 Oct 1829, Johnathan Clark, Benjamin Hubbs, Robert Hubbs, Heviland Hubbs, all of PEC, yeoman, executors of the will of Robert Hubbs, deceased, Hallowell, yeoman, sells to Elijah Ketchison, Haldimand, Northumberland, yeoman, for 100 pounds, lot 18, Con 6, Cramahe, witnessed Stephen Haight, Hallowell, yeoman, and Daniel Miller, Hillier, merchant, 17 Nov 1830. Reg 1 Mar 1831. "In a very old Bible, now in the possession of Mrs. David B. Bowerman, it is recorded that Jane Haviland [husband of Robert Hubbs] had a brother Benjamin, and that the Havilands were of Dutch origin. About the time that the Hubbs came to Canada, a John Haviland received a grant of land in Cramahe, which he afterwards sold to the pioneer, Hubbs." 9. CHILDREN OF JOHN HAVILAND UE, "of Hallowell". No wife has been identified. 1. JOHN HEAVILAND2 UE (JOSEPH1 HAVILAND) was born in Long Island, and died Bet. 1822 - 1827 in Upper Canada. 2.	i.	JANE3 HAVILAND m Henry BENHAM, 3 MAY 1822.
ii. PHEBE HAVILAND, m. JOHN SMITH. 3.	iii. NANCY HAVILAND, b. Abt. 1811, Prince Edward County; d. 07 Jul 1871. m Rosewell ADSET. 2. JANE3 HAVILAND (JOHN HEAVILAND2 UE, JOSEPH1 HAVILAND) She married HENRY BENHAM 04 May 1822 in Hallowell. i.	WILLIAM W4 BENHAM, b. 25 Dec 1822.
ii. MARY BENHAM, b. 15 Sep 1824.
iii. BENJAMIN LEAVENS BENHAM, b. 28 Dec 1826.
iv. JOHN HEVLAN BENHAM, b. 07 Aug 1829.
v.	THOMAS BENHAM, b. 23 May 1832.
vi. EDWARD BENHAM, b. 30 May 1834.
vii. JOSEPH BENHAM, b. 30 Jan 1837, Hillier Tp, PEC; m. MARY ANA YARROW, 10 Nov 1878, Hastings Co, ON; b. Abt. 1856, Ameliasburgh Tp, PEC. viii. PHEBE ANN BENHAM, b. 27 Jul 1841, Hillier Tp, PEC; m. JOHN BLACKLEY, 21 Sep 1859, Prince Edward County; b. Abt. 1841, Hallowell. ix. NANCY JANE BENHAM, b. 27 Jul 1841.
x.	HENRY BENHAM, b. 15 Nov 1843.
xi. RHODA BENHAM, b. 04 Jun 1848. 3. NANCY3 HAVILAND (JOHN HEAVILAND2 UE, JOSEPH1 HAVILAND) was born Abt. 1811 in Prince Edward County, and died 07 Jul 1871. She married ROSEWELL (ADSET) ADSIT. He was born in USA, and died Bef. 1851.
i.	FOSTER4 ADSIT, b. Abt. 1834.
ii. JOHN HENRY ADSIT, b. Abt. 1837, Hillier Tp; d. 03 Mar 1914, Cramahe Tp; m. ELIZABETH HARDIN, 08 Feb 1859, Prince Edward County; b. Abt. 1838, Ameliasburgh Tp. iii. JANE ALICE ADSIT, b. Abt. 1843, Prince Edward County; m. DANIEL HODGINS, 15 May 1877, Stockdale, ON; b. Abt. 1846, Murray Tp, Northumberland. iv. THEODORE ADSIT, b. 14 Oct 1844, Prince Edward County; d. 01 Sep 1923, Trenton, ON. v.	FRANKLIN ADSIT, b. Abt. 1846. John Haviland and his two unnamed wives had three daughters and no sons. Phebe is the oldest daughter, born to the first wife, and marries John Smith and is a widow by 1812. She would probably have been born on Long Island. The Adolphustown census data suggest that the first wife of John Haviland dies around 1803 and John remarries and has two more daughters in 1808 and 1810. Daughters Nancy and Jane succesfully petition as DUE's in 1834. [written in a column] - the name of John Hevelin does not appear in the UE list - see the written certificate of Thos Dorland the name is John Heaviland. Read in Council 17 Mar 1812. Recommended. DUE 200 acres. Land Book I, 158. Phebe now Smith, Hallowell, wife of John Smith, dau of John Haviland of the same place. One of a long list of women praying for 200 acres as a DUE. Granted. 1 July 1834, Picton, Nancy Heaviland or Adsit [Adset], Hillier, wife of Rosewell Adsit, dau of John Heavland, Loyalist, Adolphustown, petitions for 200 acres, the word "married" is crossed out and "of age" is written above and has not received land. Witness Thomas Flager. Click here to see a larger picture of Jane (Haviland) Benham. 1 July 1834, Picton, Jane Benham wife of Henry Benham of Hillier, daughter of John Heaviland, Loyalist, Adolphustown, petitions for 200 acres, and she is married and has never received land. The photo on the left is said to be of Jane Hevlan Benham as identified by her granddaughter. Thanks to Pat Bjorklund, a descendant, for this image - emailed April 2012. CHILDREN of dau Jane Haviland and Henry Benham who married 4 May 1822, Hallowell and lived in Hillier. PRINCE EDWARD COUNTY - John Haviland and anyone with the surname Haviland, for that matter, is totally absent from the indexes - film numbers given below. It appears that John Haviland never owned land in hallowell or the surrounding area. Ameliasburgh GS5131Signatures can be a challenge to transcribe. Let me know if you think names have been misread. by me, Philip George Bartlett, Off. Min. 12. Capt JOHN HAVILAND UE of Townsend Township, Norfolk County, Niagara area. This is the second John Haviland to arrive as a loyalist in Upper Canada. This man is very unlikely to be closely related to Jane Haviland, wife of Robert Hubbs and the John Haviland above. I put him here to help keep the two John's separate. An excellent book, Canadian Haviland Family Genealogy by Eleanor Chapin, Hurley Printing, Brantford Ontario,1991 (395 pages) has been written about this man and his descendants. In the classic The Haviland Genealogy, by Josephine Frost, Lyons Genealogical Co., 1916, reprint Higginson Books, this John Haviland is presented on page 179. Born in 1752, probably near Quaker Hill, NY and married Anne Birdsall and later Sarah Birdsall. A number of Haviland geneaologies mistakenly attribute the children of John Haviland of Hallowell to John Haviland of Norfolk thinking there was only one man of that name. The record is clear that two John Haviland's were loyalists in Upper Canada and the children are correct as presented here. Capt John Haviland served under Maj Mansfield Baremore and afterwards Col James Delaney, recd 400 acres Lot 26, Con 1 and 2 Sydney, sold the land to go to US with approval, to get 2600 acres to make up 3000 he should receive, has wife and 4 children. Also purchased lot 4, con 1 Haldimand, from John Stratten and asking for lot 3. He gets to keep lot 4 but has no claim on lot 3., Feb 1799. John Haviland of Townsend, formerly Capt under Delaney, stating he has 400 acres in Sidney and praying for remainder. Named on UE list in 1809. The petitions are below. His children are Sarah, Esther, Benjamin, Fanny and John. 1808, Capt John Haviland, Townsend, Served under Maj Mansfield Baremore and afterwards Col James Delaney, recd 400 acres Lot 26, Con 1 and 2 Sydney, sold the land to go to US with approval, to get 2600 acres to make up 3000 he should receive, has wife and 4 children. 1809, John Haviland of Townsend, formerly Capt under Delaney, stating he has 400 acres in Sidney and praying for remainder. Also named on UE list. 16 Jul 1816, Fanny Haviland 200 acres as dau of UEL, H129 is noted above, 16 Jul 1816. There is no record of Capt John Haviland having these lots as stated in the petition of 1808. The abstract shows the Crown gave the lots to Ralph Ostrum in 1798 and John Ostrum sold it to Daniel Ostrum in 1818. Signatures can be a challenge to transcribe. Let me know if you think names have been misread. 25 May 1796, Newark, I do certify that Andrew Haverland served as a private soldier in Butlers Rangers that he joined said corps in 1778 and had a family that at the time consisting of a wife and three children which he ???? with him to Niagara the same year. 4 April 1797, Harmonius Haverland [looks like Hoverland], about two years ago received a lot of 100 acres from his father in the Township of Willooughby, Lot 5, has improved about two thirds .... wishes to obtain the adjoining lot formerly occupied by Patrick Conway who was drowned in 1793 ... prays fro 100 acres to add to the 100 acres he received from his father an old Ranger. Creditors of Patrick Conway to bring forward their claims ... transferred to Lewis Maby. The prayer of this petitioner cannot be answered. 21 Jun 1806 [very hard to read], Hermanus of Willougby Tp, Lincoln County, yeoman, son of Andrew Haverland, soldier in Corps of Rangers called Butlers Rangers, deceased. No such person as Hermanus Haverland Senior was entitled to privelege but that Andrew Haverland was and that Hermanus is cancelled and Andrew is inserted. 1793, George and John Heavens? [torn] ask permission to look for lands at Long Point, have never recieved lands. Read in Council 30 May 1793, ordered to look out for lands elsewhere. 13. ANDREW HAVERLAND UE of Willoughby Township, Welland County, Niagara area. Andrew Haverland is another loyalist of a similar surname who settled in Willoughby Township in Upper Canada. This man is very unlikely to be closely connected to the Haviland people above. Andrew Haverland, formerly of Tryon Co., NY, was born in Germany and settled in Tyron County after the French War. This means he was not from the New England group of Havilands. He joined the British forces during the American Revoulution and fought under Col. Butler in Butler's Rangers. Roger Cramer of Arizona emailed this information below and would like to hear from people who are connected to Andrew Haverland. See Roger's web site. His son was Hermanus Haverland. Haverland, Andrew. Private ["Andreas Hoverland"] Native of Germany. Lived in Tryon County. had fought in the French and Indian Wars (Seven Years War) and had settled in America at its conclusion. Had cleared 40 acres of his 200 acre farm. Joined in 1778. With one child at Niagara in Jul 1784. On a list of Loyalists who drew rations at Fort Erie between ?Dec 1784 and Dec. 1786. On that list his family is given as himself and one boy over 10 years of age. Listed as a settler " at the Mountain and near Fort Erie, 1785". He estimated losses at 199 pounds ($14,876 in 1991 US dollars) and was awarded 106 pounds Sterling ($7,924 in 1991 US Dollars.) In Jul 1796 he stated he had come into the Province in 1788 with a wife and three children. To date he had only received 100 acres of land. He was granted 200 acres to complete his military entitlement and 200 acres as family lands. Granted 100 acres in Willoughby Township. Claim of Andrew Hoverland of Tryon Co. Clamt. says he was at Niagara in the year '83. Is a native of Germany. Was in the last French War. Settled in America after end of that war, resided in Tryon Co. Went to Niagara in '78 to join Col. Butler. Served all the war in the Rangers. Had 200 acres, had it soon after the French War, gave 2 years work for it to Col. Crawford. Had 40 acres clear. Vals. the clear land at 100, the rest at 100 mon. Does not know what is become of it. Had 13 horned Cattle, 3 horses, 12 hogs, furniture, utensils. The Rebals have taken all these things. Knew Claimt. He left his home to join the Brit. He would not stay with the Rebels. He served a long time with the Rangers. He had a farm in Tryon Co., thinks about 40 acres were clear. Remembers him in possession long before the war. He had a good stock. He had 12 horned cattle, 3 horses. Justice Burch certifies that claimt. was settled on a good farm and had good stock. 26 May 1796: Andrew Haverland, late of Butlers Rangers ..... has been into the Province since 1778 - wife a wife and three children and ahs only rceived 100 acres of his Military Tract. [fold] Recommended for 200 acres for family if not granted before. Entered in Land Book B, page 106. No 120. Read 13 July 1796. Gave aW 3 Apr 1797. See aletter written to the surveyor general 30 May 1806. [affadavit] I do hereby certify that Andrew Haverland served as a Private in Butlers Rangers that he joined said Corps in 1778 and had a family at that time consisting of a wife and three children which he fetched with him to Niagara the same year. [fold] recd 4 Apr 1797. Referred surveyor general. Read again 11 April. Ordered that priority given to the Heirs or Creditors of Patrick Conway deceased to bring forward their claims to the lot occupied by him being lot 13, the 4th lot from the south E angle of the Township of Willoughby before an answer can be given to this petitioner. Read again 13 May 1797, It since appearing that the lot 13 was granted under a land Board certificate to Patrick Conway & since transferred under the sanction of the Board to Lewin Maby. The prayer of this petitioner cannot be granted. [13b] 23 May 1806, Chippawa, Thos Cummings JP certifies that he is the son of Andrew and has known him for 20 years. [13c] 23 May 1806 York, Alexander Woods JP hears the oath of Paulace? Terry of York verifying the same.